Have you ever needed Superior Vision & Hearing? Experience the amazing world around you by using an alternate range of light and of sound. Enhance your visual and audible senses with infrared and ultrasound technology. Are you committed to saving energy and improving your workplace and home environment? Do you have the best tools for your reliability & maintenance programs? Would you like to know how infrared and ultrasound technology could help you achieve those goals as well as provide you with the tools to enhance workplace comfort and safety? 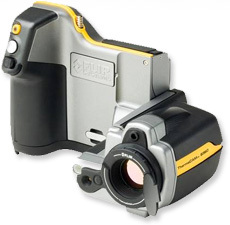 Find out how thermal imaging with a FLIR® infrared camera and airborne/structure-borne ultrasonic scanning with an UltraProbe® could become some of the most useful and advanced inspection methods at your disposal. Hear how an UltraProbe® can improve your plant uptime by incorporating it into your preventative & predictive maintenance programs; as well as compressed-air & compressor efficiency studies by finding those expensive air & vacuum leaks. Listen to the sound files of bearing and valve problems in our media gallery. Ask us about incorporating ultrasonics into your auto-greasing systems to prevent over-greasing, and detect those bearing issues before they become problems. 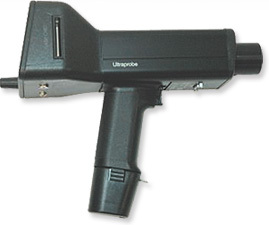 Use the UltraProbe® to listen for arcing, tracking and corona in your electrical panels before you open them, and prevent injury or death from an arc flash incident. See how a FLIR® infrared camera can help you determine if heat, or lack of it, is the cause of your concerns. Let us show you how we apply thermography to help find a surprising amount of information by looking at the heat energy emitted by all objects. Visit our media gallery for an amazing infrared perspective. Gather information about your home such as heat loss, missing insulation, moisture, leaks, infestation and floor heat problems. Collect and analyze data about industrial or commercial electrical, plumbing, mechanical and HVAC systems. Ask about our veterinary and medical applications. Call for an IT system scan to inspect your hard drives, power supplies, cooling and other electronic & mechanical systems for potential failures. Don’t let that inexpensive computer part stop your business dead in its tracks. Is there a problem you think we can help you with? Feel free to contact us with any request, to schedule an on-site demonstration or to inquire about our scanning services. 250 640 7834.